Home News What can I do with old and used mobile phones? Do you have unused phones at home? Here are some few creative idea and suggestions with which you can reuse your old mobile phones. Every year, around 400 million mobile phones are abandoned in all around the world. Some of the Online stores, mobile phone repair shops, and mobile phone stores are interested in buying the used phones. But you are reluctant to sell it as they are willing to buy it at a cheap price. In addition to the cheap price, many consumers are concerned that selling old phones will reveal their personal privacy. 1. Universal remote control: A number of mobile phones are equipped with infrared function. By installing an application, you can configure and use your old phone as a remote control to remotely control various appliances in your home. 2. Home camera: All old mobile phones have a camera, which can be installed at home as a surveillance camera so that you can see and monitor the activities of your home. You can find many applications in the Google Play store with which you can convert your old mobile phone into a surveillance camera. 3. E-reader: You can also use your old mobile phone as an e-reader. Google Play Books, Amazon Kindle app Apps are some of the applications that can provide good reading experience. 4. Driving recorder: The old mobile phone can also be transformed into a low-profile driving recorder with which you can record the moments while driving. 5. Document Scanner: If your mobile phone is equipped with a camera, you can also use it to scan printed materials to convert it into text. 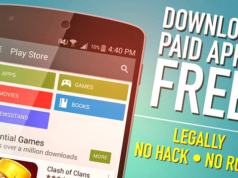 There are many OCR applications in play store with which you can perform this task. So, these were some of the creative ideas that you can do with your old mobile phones. Please, leave in comments if you have something to add. 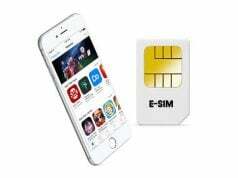 Previous articleWhat is an eSIM Card? 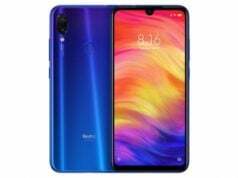 Next articleRedmi Note 7 Pro Features, is it worth buying?